The community have plenty of Gameweek 6 tips ahead of the deadline. Should you join the Eden Hazard bandwagon at the expense of Mohammed Salah? Ken brings differential options right across the pitch in the Fantasy Football 247 Gameweek 6 tips. Wolves are proving to be solid in defence and with key injuries at Manchester City, it might be time to invest in their midfield. The FPL Numbers Game crunch the statistics on Salah and Hazard, with many managers looking to make the straight swap this time around. There’s also discussion of value players grabbing our attention in midfield. – Can Hazard's form continue? The Captain decision looks set to be a close run race this week, with Hazard, Aguero, Salah and Mane all vying for our attentions. We run through the main selections for FPL Bet in their Gameweek 6 tips article. Mitrovic and Wilson are two in form forwards with a great upcoming run of fixtures. FPL Family delve into the statistics for the Gameweek 6 tips to identify which striker deserves most attention going forward. Big #wildcard decision this week. Heatmaps below courtesy of @FFScout…Wilson in dangerous areas, but Mitro’s attempts per min and accuracy looks good. Wilson creating far more (every 75 mins vs Mitro 225). Those who held firm over the International Break have been quick to activate the wildcard this week to bring in form player Eden Hazard. FPL Tips demonstrates he can be in the midfield without having to forgo Mo Salah. 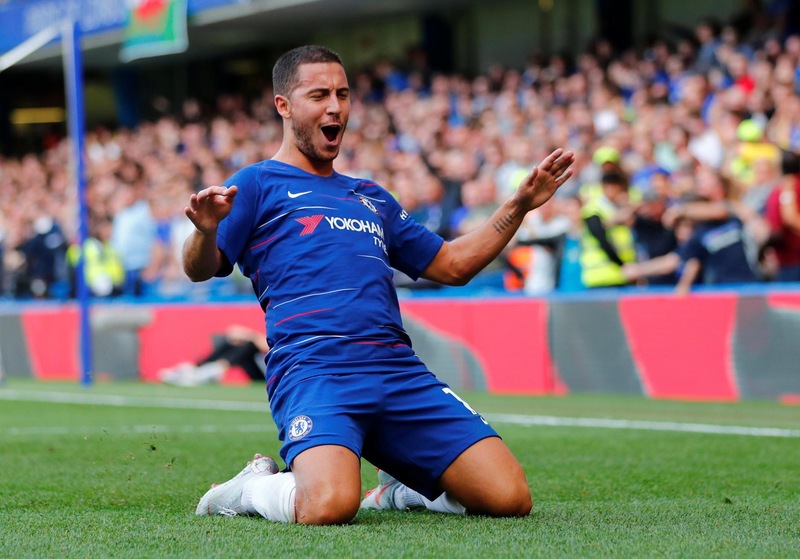 Adam Hopcroft studies the underlying statistics at Chelsea, which shows that Hazard has far more touches and shots this season compared with last year. It’s certainly equated to greater FPL points so far! More touches + more shots = more fpl points? FPL Nymfria considers all the key transfers for the Gameweek 6 tips. Raheem Sterling has secured his place in the City starting lineup and has been regularly chipping in with the goals so far. Who should you be avoiding? The latest news on Ben Mendy is inconclusive, although he’s confirmed out of this game. If you can afford to hold for another week until more information is known, it might be a wise decision. FPL Vs has updated the latest fixture Difficulty Rating Charts for Fantasy Football Pundits. Arsenal certainly have the momentum going forwards, but West Ham are firmly bottom of the pile. Tim Bayer summarises all the key statistics from the opening stages of the season. While Mo Salah has yet to hit big FPL points, there’s plenty of encouragement in his underlying statistics for attacking involvement. The FPL Editor provides the Gameweek 6 top five players, using statistics from the Fantasy Football Fix algorithm. Salah might be seeing a slump in ownership, but he takes all of the headlines here! ✅ Agüero, Salah or Hazard? ✅ Which sub 7.0 forward? As many mangers tweak funds in the midfield to accommodate Eden Hazard into their side, it’s a tough call this weekend between Mane and Silva. The Fantasy Football Hub radar should help with any dilemmas. The FantasyYIRMA preview is back, with player suggestions in each position and the all important captain pick. Lacazette earned a rest midweek in the Champions League. There’s also a pick for your draft teams. FPL Chief shares his must have and differential picks for this weekend’s contests over on Starting 11. BEFORE YOU GO…. If you’re interested in playing Premier League Daily Fantasy Football with us and many other community members this weekend, please download the FREE Starting 11 app today by clicking the banner below. To find out more about Starting 11, including details of this weekend’s pair of special promotions, click here!